Neck strap, check. Kan back protector, check….this can mean only one thing CROSS COUNTRY!!!!!!! Today Dustry jumped his first EVER xc jumps, and I mean ever he hasn’t even popped a twig out hacking so this was going to be a true litmus test! When we arrived he was very lit up, and seemed to have forgotten all his ‘don’t barge the 2 legger, and walk all over her’ manners. Once a little more settled, I tacked up and lead him round the outdoor arena which settled him more. He likes to know what’s going on, and tack on means work, and work means a direction to focus his energy in, and he finds that reassuring. 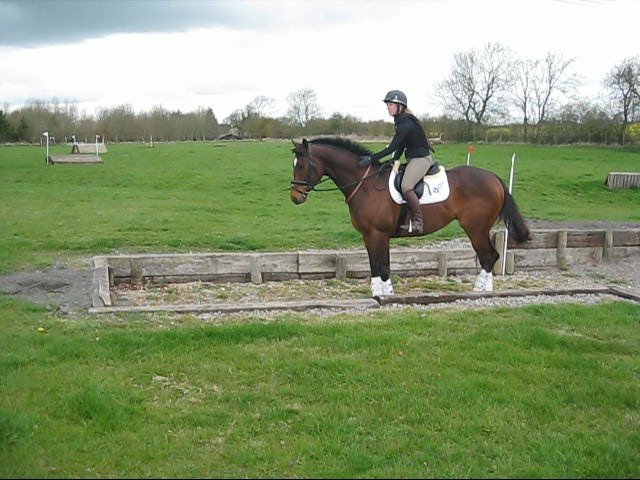 I hopped on and despite never have been in an arena filled with jumps, fillers, piles of poles etc he was ‘Mr Chill’, and didn’t put a single hoof wrong, warming up like a total pro, doing his canter poles and popping some little x-poles really sweetly. We then picked the 1st and last jump from a triple and came in on an angle popping the little planks and fillers. No more than 1ft high but these are the first fillers he has seen, and he didn’t give them a second thought. He is such a brave little horse. We went out in the XC paddock after our little warm up and this is when things got more exciting for D-Bobs!!! I knew this would be a big test for him, out in a big grassy area, with other horses cantering and jumping, and YES it did prove VERY exciting. Let’s just say thank goodness for my ‘grabby strap’ as it got some serious use today!!! 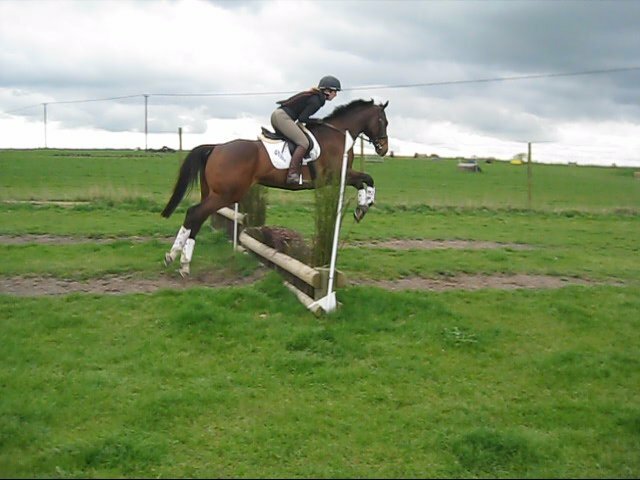 He was so brave though and went positively towards every new fence I rode him at. He did have a few stops after he had jumped the odd fence a little awkwardly he stopped the next time, unsure about it, but presented again he popped it and then went from strength to strength. I need to keep working on getting him to lower his neck and look at what he’s doing, but he’s getting better at ignoring his old racing habit of getting excited, tense and going rigid and upright in his neck. After jumping a range of little fences we had a play on some little steps and through the water which he was very good at (we go through puddles not round them at home 😉 ) and he enjoyed a good splash about, pawing with his front legs. I’m so pleased with how brave he is, and how nonplussed he is by new experiences such as rustic fences and fillers. I’m sure the next time we go things will be less exciting for him, and his ‘outbursts’ will gradually become less and less, and in the mean time we can work on improving his jumping style and flexibility in the neck at home.